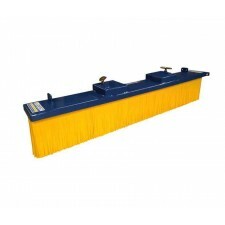 Our forklift sweepers and brushes provide a quick, simple, yet effective way of keeping your premises clean through utilising your forklift truck, and in doing so, can help increase productivity whilst reducing your cleaning costs. 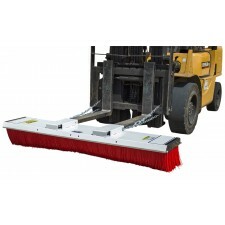 Our push broom forklift sweepers come in three different types. 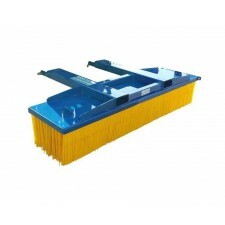 The light economy model is ideal for cleaning large areas that may have light rubbish such as a warehouse floor. 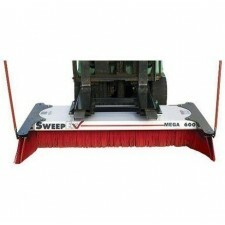 The medium-duty sweeper is designed for outdoor use, and our heavy-duty forklift sweeper is designed to get rid of the most stubborn materials on scrap yards and building sites. All our forklift sweepers are tested and certified with the latest Health & Safety regulations. 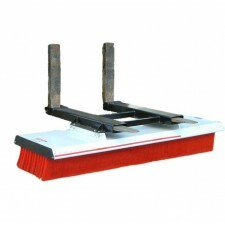 Discover our forklift sweeper attachments below or get in touch for more information.